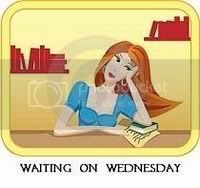 Once again I am using my "Waiting on Wednesday" post to spotlight a book! 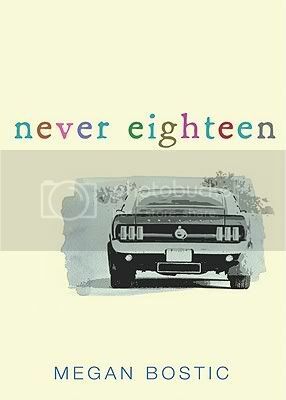 I recently had the pleasure of reading Never Eighteen, and I really enjoyed it. I cried through most of it, but it's totally worth the read. It's a wonderful story, and I can't wait to add it to my collection. Sounds good! I hate crying while reading books but it has happened to me a few times. Definitely sounds intriguing! Thanks for the heads up! Oh man. That sounds awful, but like a great read! How sad! Thanks for sharing. I had seen the cover somewhere, but wasn't sure what it was about. It's good to cry sometimes. Glad you liked it! Death seems to be a popular topic in YA fiction. Chris Crutcher, Sonya Sones, and others have written popular books about characters who are dying and the author from my teenage years, Lurlene McDaniel, usually writes about terminally ill kids too. This sounds like a really intense and emotional story. Thanks for highlighting it. Wow this one sounds really interesting - I haven't heard of it before! Thanks for putting it on my radar! I hadn't heard of this book until now .. so thank you ;) !! I look forward to read some reviews on it !! I can't say that I have ever heard of this prior to your post. It does sound really good. I do love a book that will give me a good cry! I can't remember what book made me cry last! Or come close to crying. Normally I'm laughing and I like that! This sounds like one that will make me cry! I may have to read it at home to not look like a fool on the bus. haha. Great pick and I will check it out once released! Everyone needs a good book to cry to, thanks for the recommendation. I'm scared this book will make me cry. :-| But I sooo want to read it anyway! Great pick! I LOVE books that make me cry! This one sounds very interesting; I'll have to check it out. This sounds a little sad, sounds good. Oh wow, this book's synopsis sounds soooo sad! I don't know if I could read something where the main character is ultimately doomed-- this is probably why I have yet to pick up Before I Fall by Lauren Oliver- the summary sounds so tragic, and she already made me cry when I read Delirium haha... but I hope that you enjoy this one! Great pick. I'm glad you enjoyed it. I have this one from netgalley hoping to read it soon. I'll probably cry too. I saw this one on NetGalley but I wasn't sure about it... as it looks like a freaking tear jerker!!! I usually avoid books that make me cry but this sounds so bitter sweet! Great pick! I just finished a couple weeks back! I'm having the author post post and interview next week on the blog. Aww gosh, now I have to make sure I have a full box of tissues on standby whenever I get to read this! It sounds great, definitely an emotional read. So glad you enjoyed it! I saw this a few days ago. Thx for the reminder! A tear-jerker read might be what I need this weekend. Thanks for sharing and stopping by my blog.